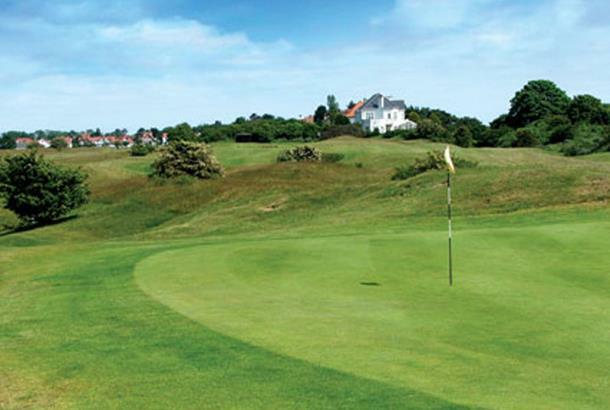 This links is one of the best on England's east coast. It's not long but it's tough with punishing rough, narrow fairways and quick greens - ably supported by a stunning golf clubhouse. The star hole is the stroke index one 7th, a 403 yards par 4 right dogleg with seven bunkers and a hidden, sloping green with OB just behind it. 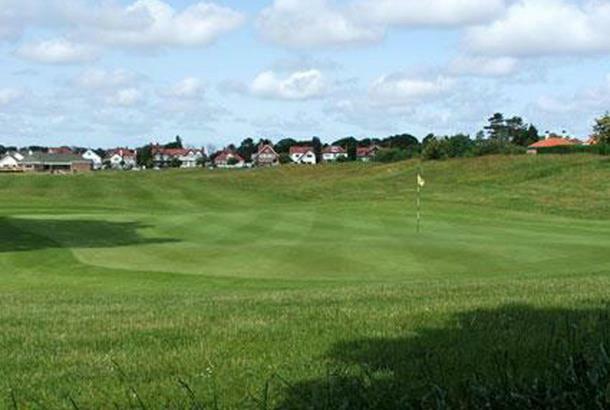 The Seacroft Golf Club was formed in 1895 and was originally a nine-hole layout, before it expanded to the 18 holes it has today - the course at the Seacroft Golf Club was designed by Willie Fernie, the 1883 Open champion - in 1900. In 1911 and 1923 there were major alterations, but more than half the present holes are as Fernie originally designed them, giving the course a real traditional value. The two nines, back and front, occupy distinct levels with a central ridge of dunes dividing one from the other. Accommodation: The Crown Hotel is down the road and the Vine Hotel is also close by. Turned up with a society, made welcome in the club house, played the course and was a little let down, greens and fairways very inconsistent, lots of blind shots and for a top 100 course not what I was hoping for? Sorry Skeggy. Much easier to play now than it was a few years ago... and it;s a cracker. Breat variety of holes and some really brain-teasers. Most of the greens are massive so hitting them is not the hard part... two-putting is!!! A real treat. The par 3s are tough and with lots of lumps and bumps all over the place (greens and fairways) every shot requires thought. It's the sort of place that you need to know your way round a bit so the nfirst visit is a touchie. But it's a great course that you can now poay for sensible money. A must for any links lover! Apart from the initially un-welcoming pro shop experience this is perfect golf - great course, history, good (enough) weather and great company. Apart from a slightly disappointing last hole I couldn't say anything other than you SHOULD play here. excellent course! best in skeg!